Get a dinner conversation going about the impacts of food waste and how everyone can play a part to reduce food waste! 1. Fix a date and venue, and invite your friends to the dinner. It can be a simple dinner with a close friend, a dinner gathering with friends, or a dinner party at home! If you’re hosting the dinner at home, remember to confirm the number of people and cook or order just enough. 2. Introduce your friends to the impacts of food waste and the current food wastage in Singapore. You might wish to screen the 14-min TED Talk video by Tristram Stuart on the global food waste scandal (video is available for download). 3. 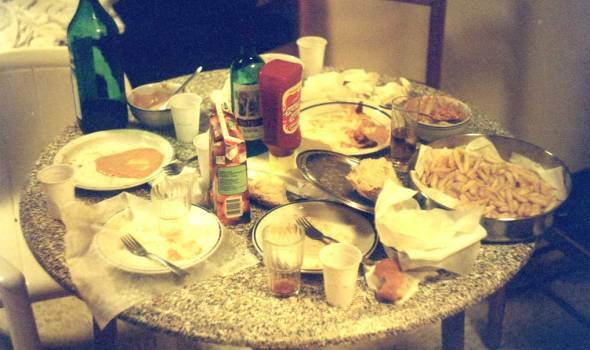 Before starting your dinner, everyone would commit to finish their food. If someone finds that the food portion is too large or don’t wish to eat certain food, give the food to someone else. 4. During the dinner, share the tips for individuals and households to reduce food waste. Discuss about what each person is doing or not doing. 5. If the dinner is hosted at home and there’s leftovers, store and cook the leftovers for your next meal. You might wish to ask your friends to bag it up for consumption back home. 6. After the dinner, encourage your friends to sign the pledge to reduce food waste. Ask them to help spread the word and share the campaign website with more people. 7. Tell us your experience in hosting the dinner! Take photos during your dinner and share them with us. Send them to us via email and we will share them on our blog. This would also help us keep count of how many dinners have been hosted. 8. Have fun hosting your dinner!